Our RE/MAX office has over 120 realtors in the local area working with buyers looking for homes, and we want them to be aware of your property. We will discuss your home at our weekly office meetings, and then we will have all the agents in our office tour your home. We have found that direct communication with other sales representatives often results in the sale of a home like yours. We have a group of the most committed, professional, and successful sales reps in the marketplace. We all work together to sell your home! Although it does happen, the chances that a buyer will see your sign, call us, and buy your home are not great. However, there is a good chance that a buyer will call for information on one of the hundreds of RE/MAX signs in your region and one of our sales representatives will tell them about your home. The sign on your front yard has very little value on its own. It is the hundreds of signs all over the region that present tremendous value by advertising for you 24 hours a day. We use an advanced computer system to identify people who have been looking for a home just like yours. They will be contacted and given details about your property. Our Sales Agents will also call the immediate streets in your neighbourhood to see if anyone knows someone looking to move to the area. We don’t believe in sitting in the office and waiting for someone to walk in. We take time each day to go out and look for a buyer by actively prospecting the marketplace. This is just a small sample of the Calgary Real Estate Advantage team’s marketing plan! 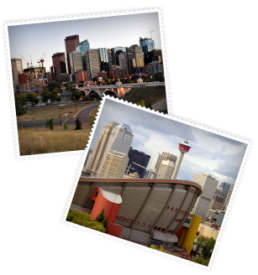 View our marketing plan page or call 403-968-1496 to learn the full scope of what we’ll do to sell your Calgary home.